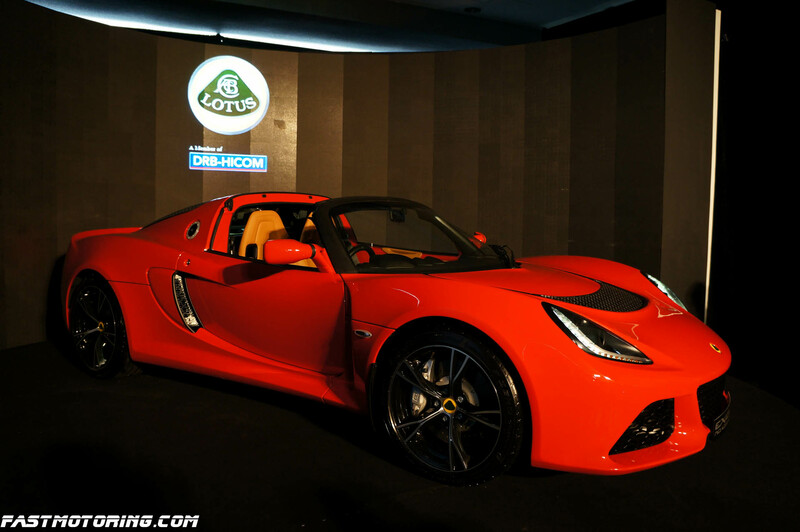 Lotus officially launched the new Exige S Roadster to the Malaysian market at the its own flagship showroom and centre in Penchala, KL. The Exige S Roadster sits alongside the Exige S, Exige Cup and Exige Cup R completing the Exige line-up. Exige S Roadster is powered by the same 3.5L V6 supercharger engine. Weighing 10kg less than the Exige S at 1,1666kg, none of the exhilarating performance of the Exige range is compromised. 0-100km/h achievable in just 3.9seconds. Deliverying 345 hp at 7,000rpm and 400Nm of torque at 4,500rpm. Gearbox is a 6-speed manual transmission, no automatic transmission option. Interior, there is leather upholstery with an air conditioning system, and a 4-speaker sound system. Putting on the fabric soft top would have to be manually done. Safety wise, it comes standard with two front airbags, and ABS with EBD and brake assistance, and stability control. The Exige S Roadster is priced from RM452,030 on the road without insurance and other misc charges. Lotus have also included a three-year OR 100,000km (whichever comes first) warranty. 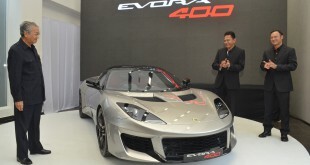 CEO Dany Bahar Looking For A Buyer For Lotus After Proton Taken Over?